This month we've highlighted 5 teachers who have received exciting features and recognition. Check out August's roundup of teacher spotlights. Floor Giebels was featured on Diply. 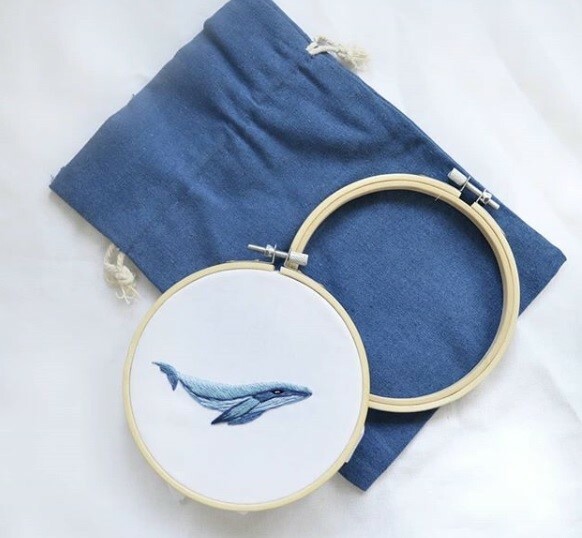 She shared her fresh twist on traditional embroidery that incorporates the use of watercolors. Learn how to create a beautiful mixed media project with watercolor paints on fabric in Floor’s class. Pattern maker, Erica Ilene, was recently featured in Swatch and Repeat, a unique collective of seven surface pattern designers. Design with Erica in her Adobe Illustrator class, Illustration: From Sketch to Finish - Create a Detailed Illustration in Adobe Illustrator. In an interview with Voyage Dallas, Lisa Long shares the inspiring story behind Lisa Long Designs. Create your own 3D Lettering on the iPad Pro in Lisa’s Procreate class. Casey Sibley’s fabric bucket was featured as a 50 States, Fifty Finds in HGTV’s July/August Issue. Learn how to turn your hand-drawn art into repeating digital patterns with Casey in her Adobe Illustrator Pattern Design class. Podcast host Mallory Whitfield shares her experience doing the New Orleans Drag Workshop in the August/September issue of BUST Magazine. Join Mallory in her newest class, Marketing for Artists. Older PostSkillshare Has Reached a Major Milestone!